Yesterday was the first official day of autumn, and a chilly breeze was blowing through the Windsor Terrace Greenmarket this morning. But who says Spring has the monopoly on baby vegetables? 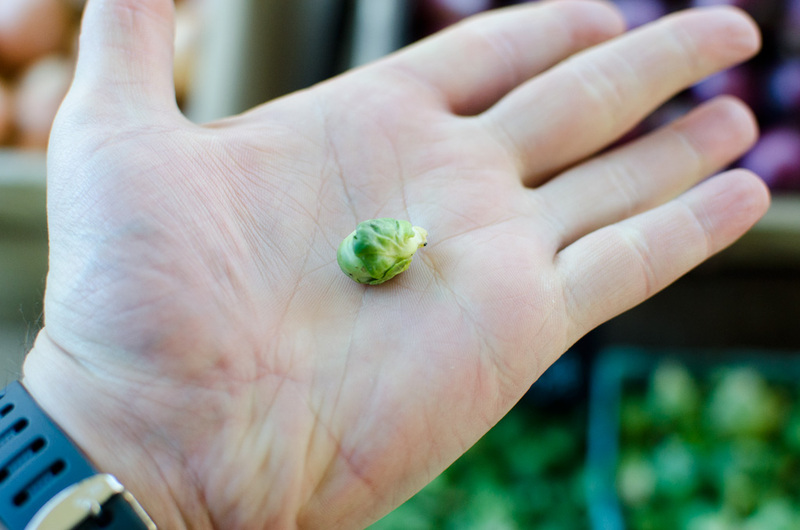 These beautiful, tiny little Brussels sprouts were harvested as early as possible, and they will obviously cook up in no time at all. I’m planning to toss them into a curry for little cabbage-y bursts of flavor.